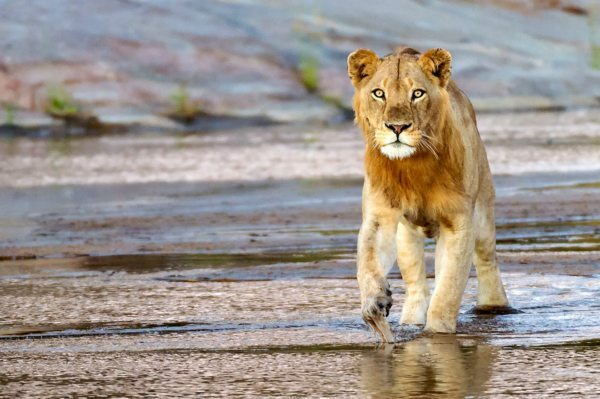 You might think your wedding day will be the happiest of your life, but it will face some serious competition from this wonderfully romantic honeymoon safari in Mozambique and South Africa. Trade confetti for rose petals and ocean spray in the Quirimbas Archipelago and Cape Town, and finally get to be alone with your new spouse. 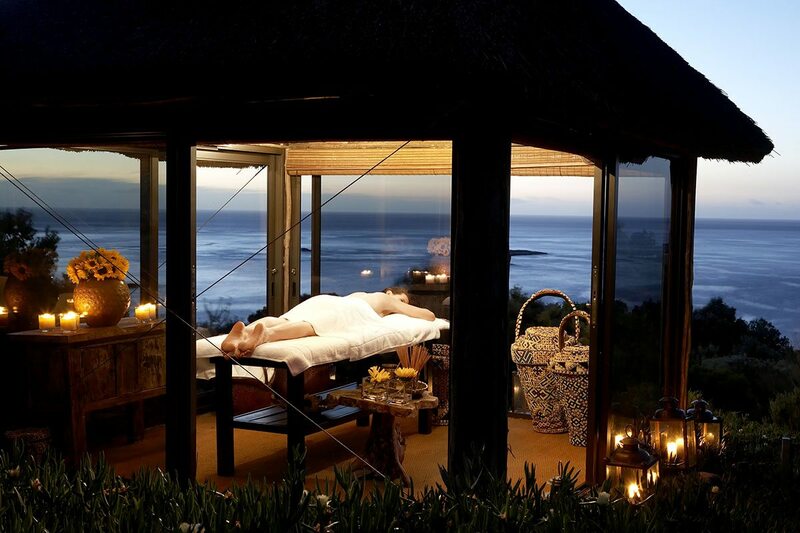 A private desert island off the coast of Mozambique, in the warm clear waters of the Indian Ocean, and the rugged landscape of South Africa’s Cape Peninsula, with Atlantic breakers crashing on the rocks. 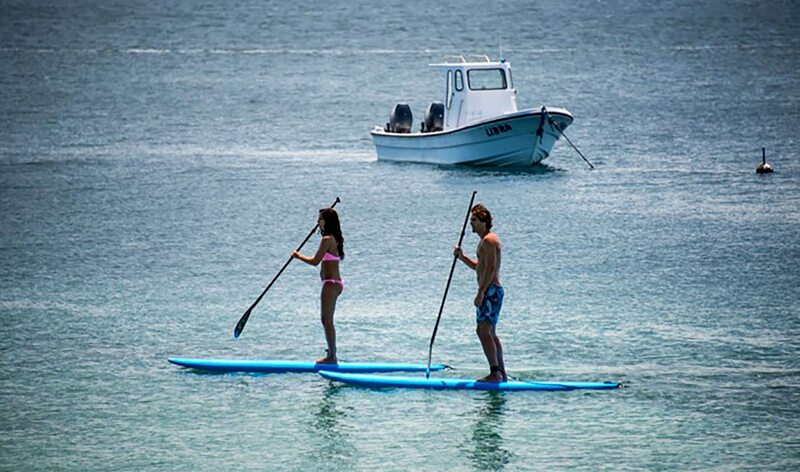 Opportunities to dine on a sandbar, snorkel reefs, kayak the Quirimbas, scuba dive the Quirimbas, dine out in one of the world’s epicurean capitals, take a private tour of the Cape Peninsula, whale watch (and more) in Hermanus, snorkel with seals, spend a day in the iconic Cape Winelands and take a cable car and Cape Town city tour. 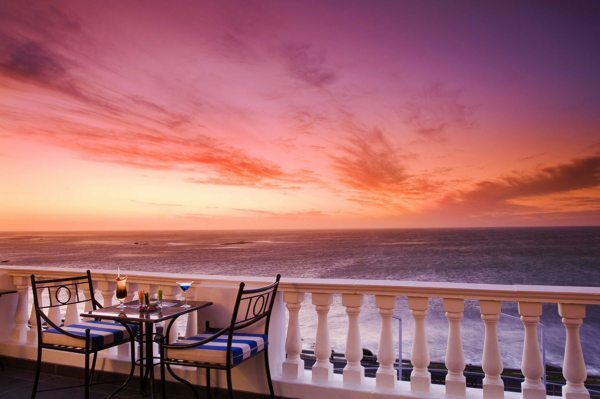 An elegant and classy Cape Dutch-style farmhouse turned hotel with a commanding presence above the coast road, forming a wonderful contrast to coral and thatch villas set just metres away from the sandy beach and the water’s edge. 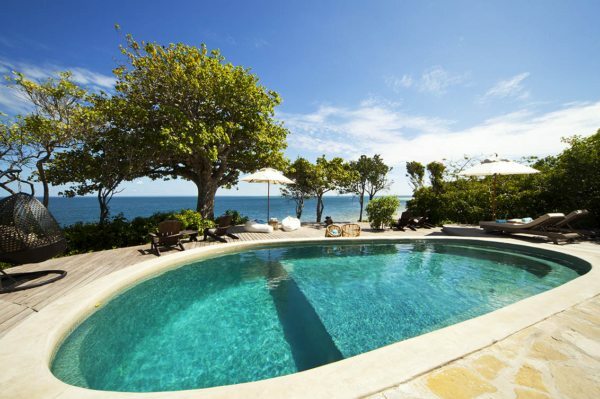 For more information see Azura Quilalea Private Island and The 12 Apostles Hotel and Spa. The helicopter pilot touched her machine down on the sand so gently that not a grain seemed to have been displaced. It had been a whirlwind 24 hours, from cutting the cake to the rotor blades slicing through the warm, tropical air. 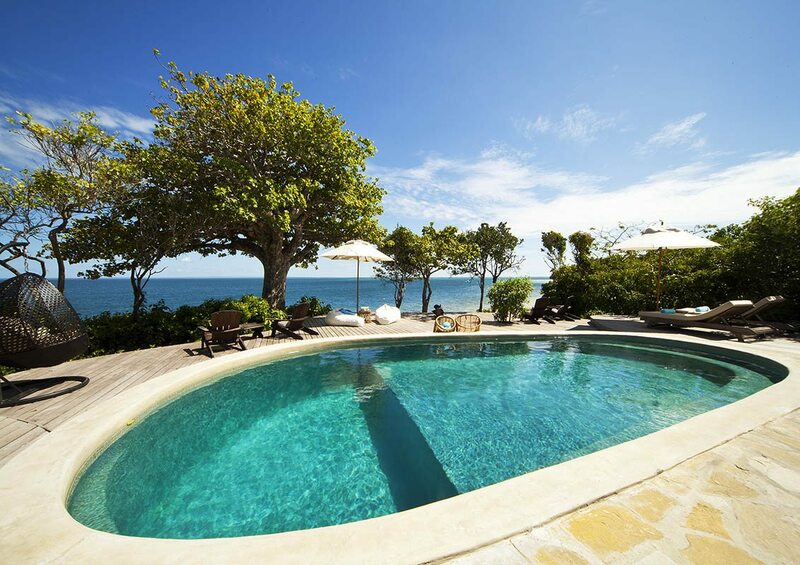 We’d arrived at Azura Quilalea Private Island – our first destination as a married couple. The lodge manager met us and we strolled barefoot through a grove of baobab trees to our beachside villa. Given a choice of sunset or sunrise views from our villa, we opted for the latter – to watch from bed, of course, if we woke up in time. And if not, there was always tomorrow.An espresso in bed the next morning was followed by a chase down to the sea to snorkel over the house reef and greet the multicoloured fish, before a beach breakfast and a leisurely discussion of our many options. Thoroughly rested and recovered after our first night’s rest, we opted for a kayak excursion along a nearby mangrove-lined creek. The staff member who prepared the kayak smiled as we chose our seats. He told us he could tell a lot about a couple by who steered, and who provided the forward momentum. No dugong sighting, but we swapped seats on the way back!Our next day, scuba diving, was our fullest yet. We embarked on a traditional dhow, as seafarers had been doing here for centuries, to sail out to the drop-off. Our Finding Nemo puns exhausted at last, we were helped on with our tanks and fins, and rolled backwards into the deep. The contrasting shades of blue struck me first: azure in the shallows, then a fathomless dark blue as the seabed fell away. 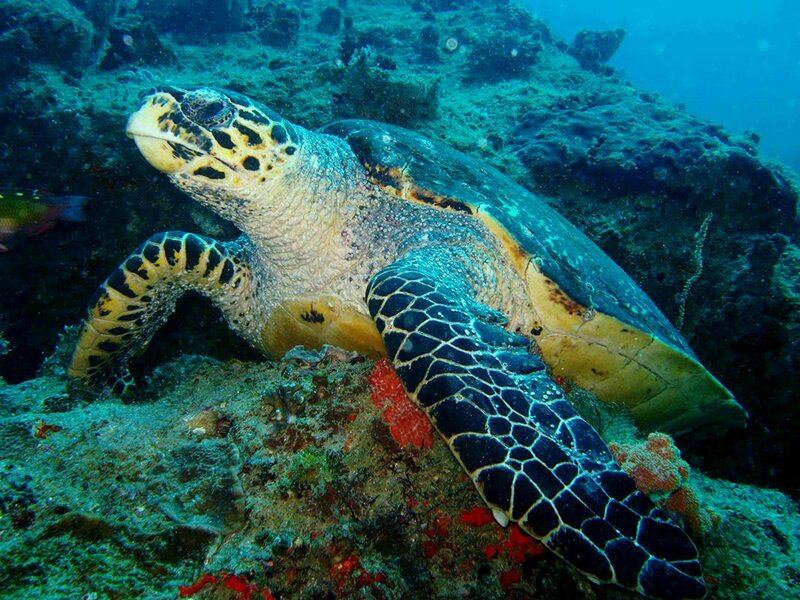 The marine life was spectacular, and I was thrilled to see both turtle and manta ray on our first dive. Returning to the boat, we enjoyed ‘freshimi’ as we’d named it.We returned to Azura Quilalea Private Island from our afternoon boat excursion, skin warm and salty, to find a trail of rose petals leading us on a treasure hunt around our coral-block villa. Echoing Alice in Wonderland, each new find was labelled. 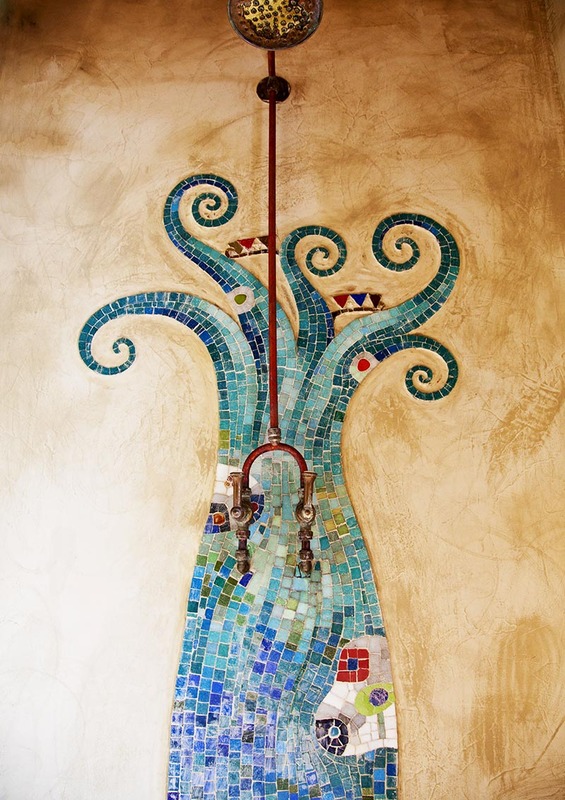 ‘Eat me’ (a salver of oysters on ice); ‘drink me’ (a bottle of Champagne, the neck beaded with moisture); and ‘splash me’ (our bathtub-for-two was brim-full of bubbles and we sank into them gratefully, glasses in hand). I found the ‘gaze at me’ label later, attached to our telescope. Did they mean the stars, or my very good-looking partner?We lost count of the different spots where we enjoyed private meals of tropical fruit, mangrove crab and seared tuna. We were caught unawares one lunchtime when our private butler (memo to self: hire one of these back home) announced that we’d be having drinks at the ‘Sand Bar’. A short boat ride later, and we were splashing ashore on a golden crescent, bedecked with an umbrella and drinks for two on a mini sand-bar island. The boat pulled away, and we spent a blissful afternoon completely alone. As the tide began to turn, the boat returned and whisked us away.For our last night, our private butler pulled out all the stops. He also pulled out the cork from a very special bottle of red that a certain somebody had carried all the way from home. After a delectable dinner, we strolled down to the water’s edge, and sat together watching the stars slowly rotate above us. Although they were still echoing in our ears, we renewed our vows and trailed lazy fingers through the phosphorescence in the water. Sipping claret, we watched starlight cause the carat that symbolised our love to sparkle. Meanwhile our butler had quietly withdrawn, leaving only fresh coffee in his wake. The helicopter pilot touched her machine down on the sand so gently that not a grain seemed to have been displaced. It had been a whirlwind 24 hours, from cutting the cake to the rotor blades slicing through the warm, tropical air. 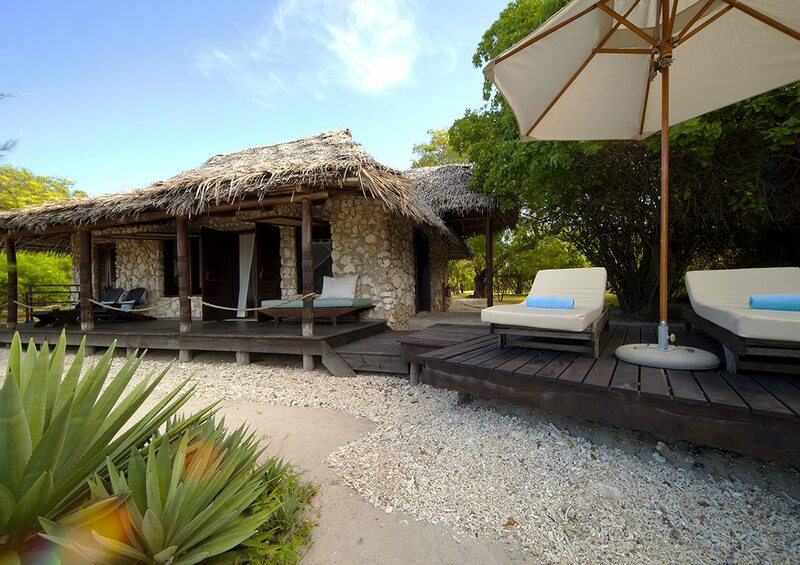 We’d arrived at Azura Quilalea Private Island – our first destination as a married couple. The lodge manager met us and we strolled barefoot through a grove of baobab trees to our beachside villa. Given a choice of sunset or sunrise views from our villa, we opted for the latter – to watch from bed, of course, if we woke up in time. And if not, there was always tomorrow. An espresso in bed the next morning was followed by a chase down to the sea to snorkel over the house reef and greet the multicoloured fish, before a beach breakfast and a leisurely discussion of our many options. Thoroughly rested and recovered after our first night’s rest, we opted for a kayak excursion along a nearby mangrove-lined creek. The staff member who prepared the kayak smiled as we chose our seats. He told us he could tell a lot about a couple by who steered, and who provided the forward momentum. No dugong sighting, but we swapped seats on the way back! 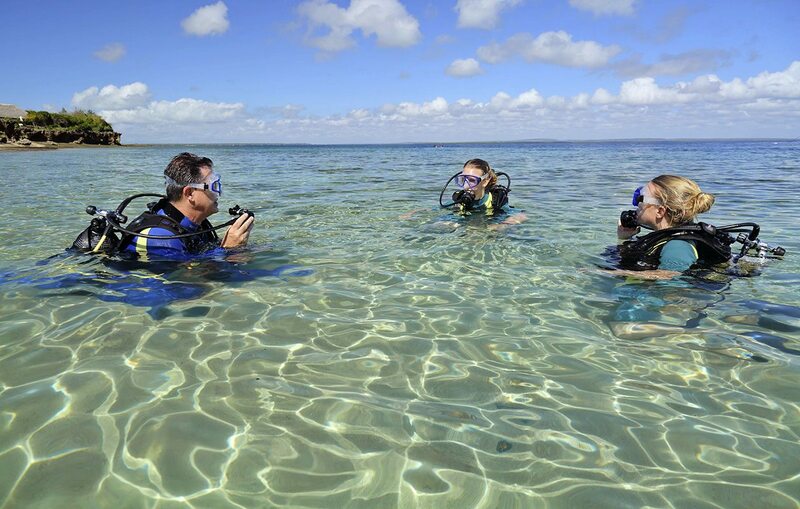 Our next day, scuba diving, was our fullest yet. We embarked on a traditional dhow, as seafarers had been doing here for centuries, to sail out to the drop-off. Our Finding Nemo puns exhausted at last, we were helped on with our tanks and fins, and rolled backwards into the deep. The contrasting shades of blue struck me first: azure in the shallows, then a fathomless dark blue as the seabed fell away. The marine life was spectacular, and I was thrilled to see both turtle and manta ray on our first dive. Returning to the boat, we enjoyed ‘freshimi’ as we’d named it. We returned to Azura Quilalea Private Island from our afternoon boat excursion, skin warm and salty, to find a trail of rose petals leading us on a treasure hunt around our coral-block villa. Echoing Alice in Wonderland, each new find was labelled. ‘Eat me’ (a salver of oysters on ice); ‘drink me’ (a bottle of Champagne, the neck beaded with moisture); and ‘splash me’ (our bathtub-for-two was brim-full of bubbles and we sank into them gratefully, glasses in hand). I found the ‘gaze at me’ label later, attached to our telescope. Did they mean the stars, or my very good-looking partner? We lost count of the different spots where we enjoyed private meals of tropical fruit, mangrove crab and seared tuna. We were caught unawares one lunchtime when our private butler (memo to self: hire one of these back home) announced that we’d be having drinks at the ‘Sand Bar’. A short boat ride later, and we were splashing ashore on a golden crescent, bedecked with an umbrella and drinks for two on a mini sand-bar island. The boat pulled away, and we spent a blissful afternoon completely alone. As the tide began to turn, the boat returned and whisked us away. For our last night, our private butler pulled out all the stops. He also pulled out the cork from a very special bottle of red that a certain somebody had carried all the way from home. After a delectable dinner, we strolled down to the water’s edge, and sat together watching the stars slowly rotate above us. Although they were still echoing in our ears, we renewed our vows and trailed lazy fingers through the phosphorescence in the water. Sipping claret, we watched starlight cause the carat that symbolised our love to sparkle. Meanwhile our butler had quietly withdrawn, leaving only fresh coffee in his wake. Skimming the waves in a chopper and soaring through the stratosphere in a jet were ideal preparations for our road transfer to The 12 Apostles Hotel and Spa, as our driver carefully swooped along the sinuous coast road.The team here picked up where their Azura Quilalea counterparts had left off, without missing a beat. I’ve seen enough fluffy towels in my time, but never ones with our initials embroidered on them. The handwritten congratulations card was a nice touch, as was the brine in the dirty martinis we enjoyed in, or rather outside, the Leopard Bar as the sun changed into its Speedos and dived into the ocean. We watched the first stars come out, then traded the astronomic for the gastronomic with an outstanding meal in the hotel’s Azure Restaurant.We’d both already made the most important choice of our lives – hence the honeymoon – but smaller dilemmas reared their heads like the Atlantic whitecaps. To explore the city, or sit pretty in this rather wonderful hotel? The starched white umbrellas on the terrace symbolised how the ‘12A’ put every other hotel we’d stayed at in the shade and in the end, it was an easy decision to stay put, and enjoy a complimentary massage treatment under the gazebo. We were gone just long enough for the housekeepers to scatter petals across the king-size bed, and refresh our supply of sparkling wine.The ship’s nameplate in the hotel’s garden inspired us to explore more of this part of South Africa’s coastline, although by roomy minibus rather than doomed ship. 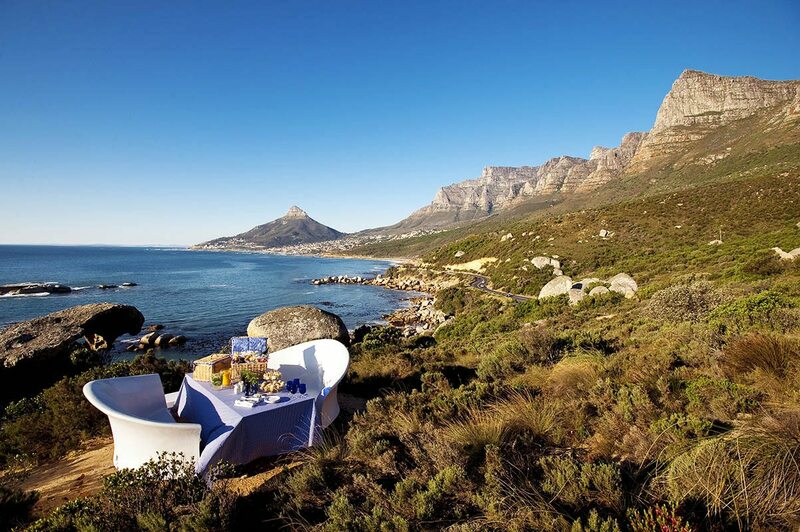 Our private tour of the Cape Peninsula proved to have it all. Penguins? Check. Maritime history, rugged mountains and vertiginous lighthouses? Check. Travel chess, knight to queen’s bishop three? Check. Oysters for lunch and why not – they were becoming a theme, including on the hotel’s breakfast buffet! The only grit in our day was having to return, but then it was to a pearl of a hotel: white, lustrous and rather cultured.As the sun rose, it dawned on us that this was our last full day. 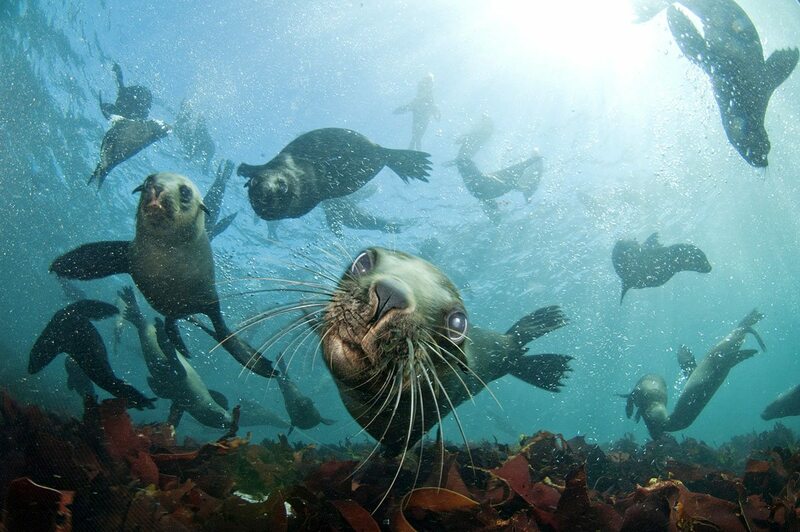 My partner had booked a trip to snorkel with seals in streams of bubbles, while I remained on shore leave. I’d press-ganged the hotel’s ‘exercise buddy’ into running the fynbos trails with me (Table Mountain National Park begins at the garden gate). My partner returned with a souvenir strand of seaweed – ‘a little kelp from my friends’ – and we listed all that we’d need to return to Cape Town for: the cable car and a day in the iconic Cape Winelands would certainly feature on our first anniversary itinerary. Skimming the waves in a chopper and soaring through the stratosphere in a jet were ideal preparations for our road transfer to The 12 Apostles Hotel and Spa, as our driver carefully swooped along the sinuous coast road. The team here picked up where their Azura Quilalea counterparts had left off, without missing a beat. I’ve seen enough fluffy towels in my time, but never ones with our initials embroidered on them. The handwritten congratulations card was a nice touch, as was the brine in the dirty martinis we enjoyed in, or rather outside, the Leopard Bar as the sun changed into its Speedos and dived into the ocean. We watched the first stars come out, then traded the astronomic for the gastronomic with an outstanding meal in the hotel’s Azure Restaurant. We’d both already made the most important choice of our lives – hence the honeymoon – but smaller dilemmas reared their heads like the Atlantic whitecaps. To explore the city, or sit pretty in this rather wonderful hotel? The starched white umbrellas on the terrace symbolised how the ‘12A’ put every other hotel we’d stayed at in the shade and in the end, it was an easy decision to stay put, and enjoy a complimentary massage treatment under the gazebo. We were gone just long enough for the housekeepers to scatter petals across the king-size bed, and refresh our supply of sparkling wine. The ship’s nameplate in the hotel’s garden inspired us to explore more of this part of South Africa’s coastline, although by roomy minibus rather than doomed ship. 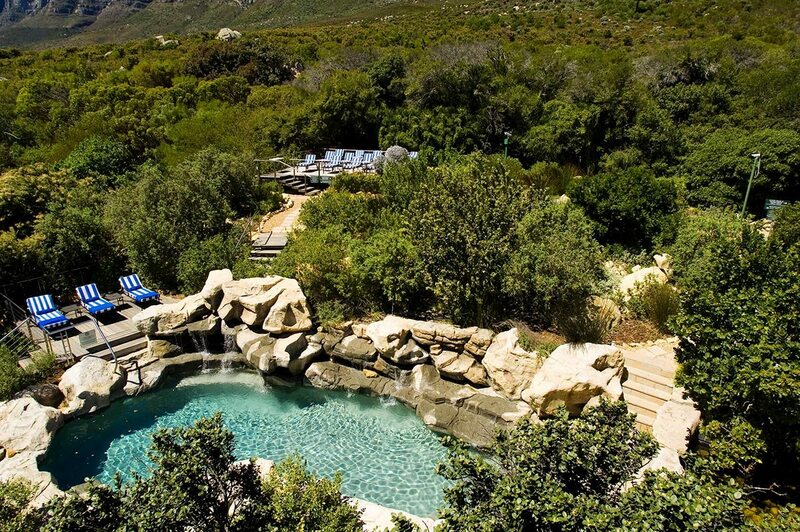 Our private tour of the Cape Peninsula proved to have it all. Penguins? Check. Maritime history, rugged mountains and vertiginous lighthouses? Check. Travel chess, knight to queen’s bishop three? Check. Oysters for lunch and why not – they were becoming a theme, including on the hotel’s breakfast buffet! The only grit in our day was having to return, but then it was to a pearl of a hotel: white, lustrous and rather cultured. As the sun rose, it dawned on us that this was our last full day. My partner had booked a trip to snorkel with seals in streams of bubbles, while I remained on shore leave. I’d press-ganged the hotel’s ‘exercise buddy’ into running the fynbos trails with me (Table Mountain National Park begins at the garden gate). My partner returned with a souvenir strand of seaweed – ‘a little kelp from my friends’ – and we listed all that we’d need to return to Cape Town for: the cable car and a day in the iconic Cape Winelands would certainly feature on our first anniversary itinerary. Our luxury safari honeymoon will linger long in both our memories – a brief interlude of unhurried perfection between the enjoyable chaos of wedding preparations, and setting up our new home when we returned.The most luxurious aspect of our safari was being able to spend, what felt like at the time, limitless time together (although how quickly it flew by – the surest sign of a wonderful experience).Not only were we together, with inboxes and smartphones left beeping forlornly somewhere far behind, but we were in nature. Endless sweeps of ocean and coastline stretched before us, seeming to symbolise the many years of adventures and mutual happiness that we could look forward to. We had time to get used to being Mr and Mrs, and for lots of stolen kisses. Stolen no longer of course, but freely given!As was so much care and attention from everyone we met. 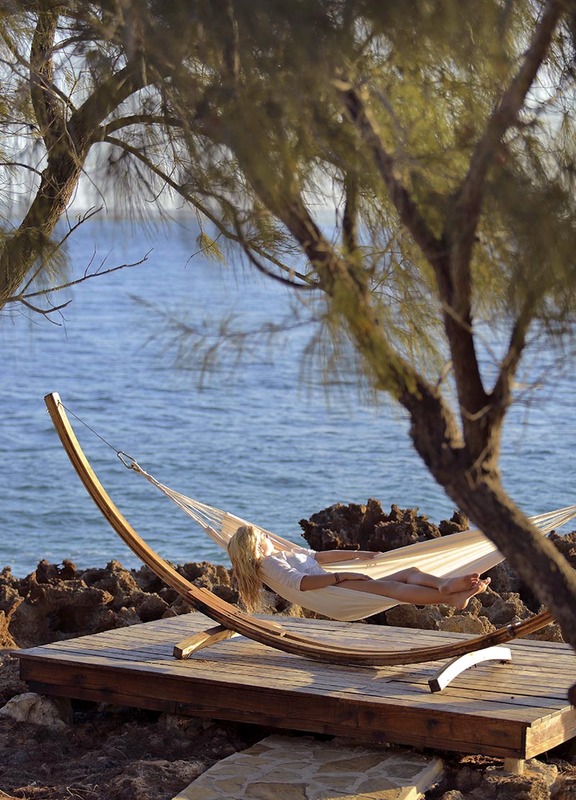 The service at both Azura Quilalea Private Island and The 12 Apostles Hotel and Spa was not just impeccable, but rendered with a real joy that seemed to delight in our happiness. Staff members created romantic moments for us and always knew precisely when to assist, and when to discreetly retire.Although we were often left alone, we never lacked for anything. The only things that were neglected on our trip were the ambitious biographies that we’d hefted with us. Ultimately, we were enjoying writing new chapters in our own lives too much to want to read about anyone else’s. Our luxury safari honeymoon will linger long in both our memories – a brief interlude of unhurried perfection between the enjoyable chaos of wedding preparations, and setting up our new home when we returned. The most luxurious aspect of our safari was being able to spend, what felt like at the time, limitless time together (although how quickly it flew by – the surest sign of a wonderful experience). Not only were we together, with inboxes and smartphones left beeping forlornly somewhere far behind, but we were in nature. Endless sweeps of ocean and coastline stretched before us, seeming to symbolise the many years of adventures and mutual happiness that we could look forward to. We had time to get used to being Mr and Mrs, and for lots of stolen kisses. Stolen no longer of course, but freely given! As was so much care and attention from everyone we met. 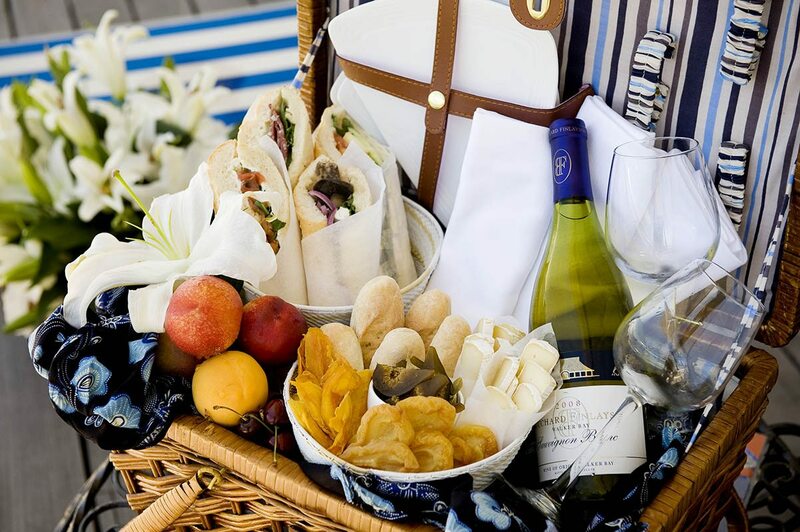 The service at both Azura Quilalea Private Island and The 12 Apostles Hotel and Spa was not just impeccable, but rendered with a real joy that seemed to delight in our happiness. Staff members created romantic moments for us and always knew precisely when to assist, and when to discreetly retire. Although we were often left alone, we never lacked for anything. The only things that were neglected on our trip were the ambitious biographies that we’d hefted with us. Ultimately, we were enjoying writing new chapters in our own lives too much to want to read about anyone else’s. 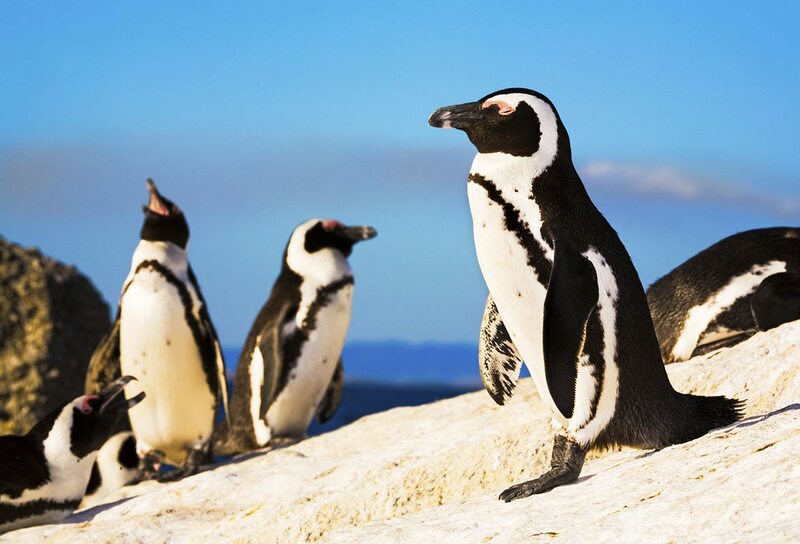 A visit to the world-famous African penguin colony at Boulder’s Beach is a must. 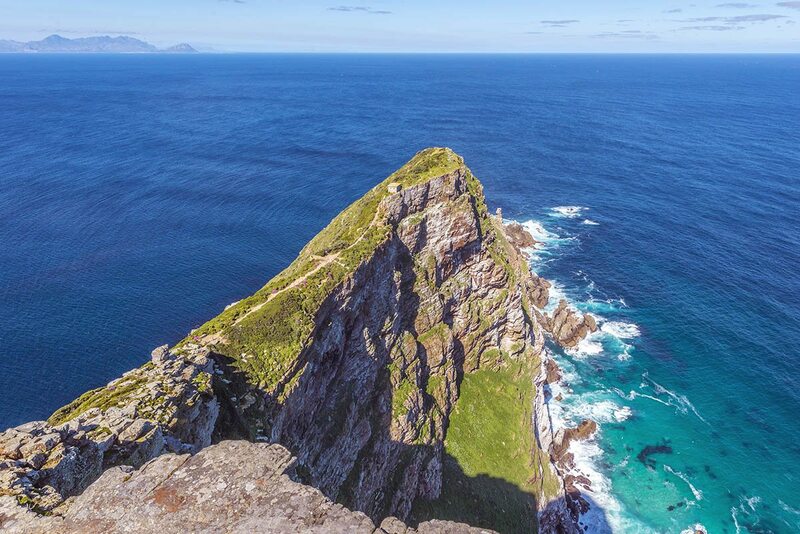 Cape Point, the southwesternmost point of Africa, is the halfway mark on your Cape Peninsula tour. You’ll be met as you disembark from your international flight at OR Tambo International Airport in Johannesburg, South Africa, and assisted through customs and immigration. 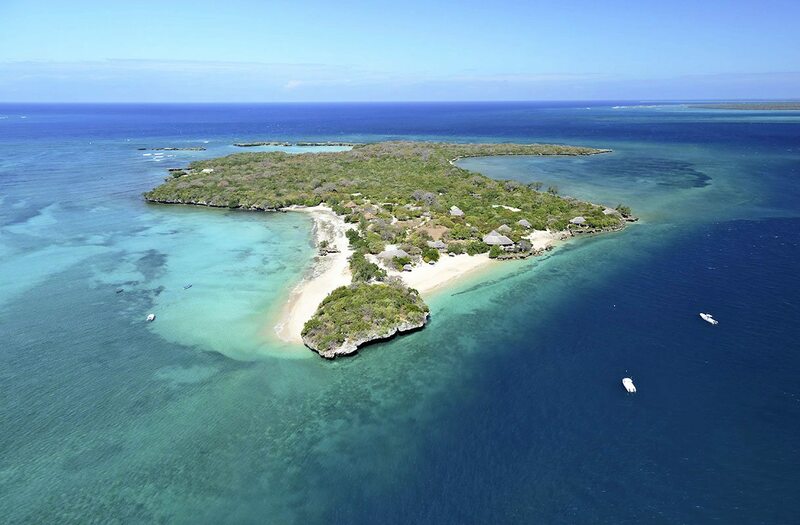 After a scheduled flight to Pemba in Mozambique, you’ll take a helicopter flight to Azura Quilalea Private Island, where you’ll spend six nights. 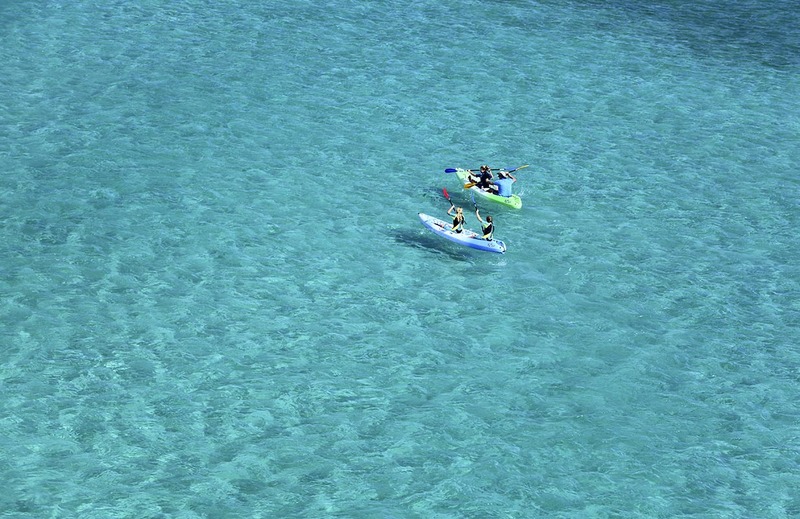 After a helicopter flight from Azura Quilalea Private Island to Pemba, you’ll take a scheduled flight to OR Tambo International Airport in Johannesburg, South Africa, and a connecting scheduled flight to Cape Town. A private transfer will then take you to The 12 Apostles Hotel and Spa, where you’ll spend four nights. 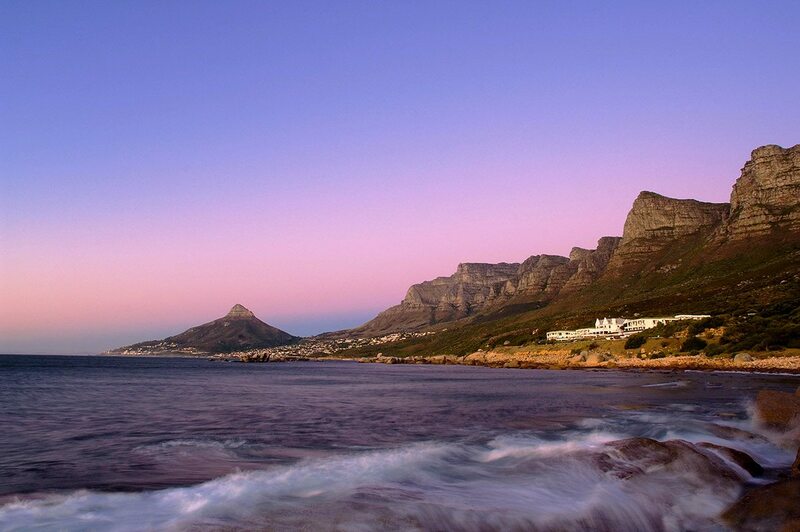 A private transfer will take you from The Twelve Apostles Hotel and Spa to the airport. A scheduled flight will then take you to OR Tambo International Airport in Johannesburg, to connect with your international flight.